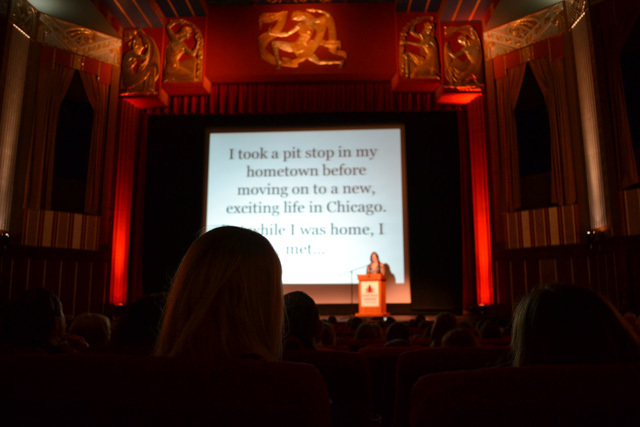 To top off a relaxing day off from work yesterday filled with PJ’s, scrapbooking, eating cold leftovers, and a Jersey Shore marathon, I went to see The Pioneer Woman speak at The Coolidge in Brookline. The ever so lovely Ree Drummond was doing a stop in the area at Brookline Brooksmith for her new book, The Pioneer Woman Cooks: Food from My Frontier . 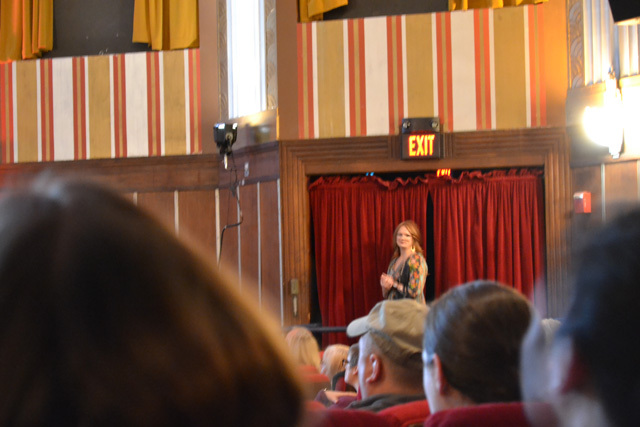 She was first doing a talk at the Coolidge (the most adorable independent movie theater ever (that serves wine!)) and then a signing back at the Brookline Booksmith. I attended the speaking arrangement with Lena, Amanda, and Megan, as well as my coworker Rebecca. Rebecca didn’t know all too much about Ree so this was a perfect introduction to her as she explained her roots, 2-week obsession of Sun-in, and random musings along the way. 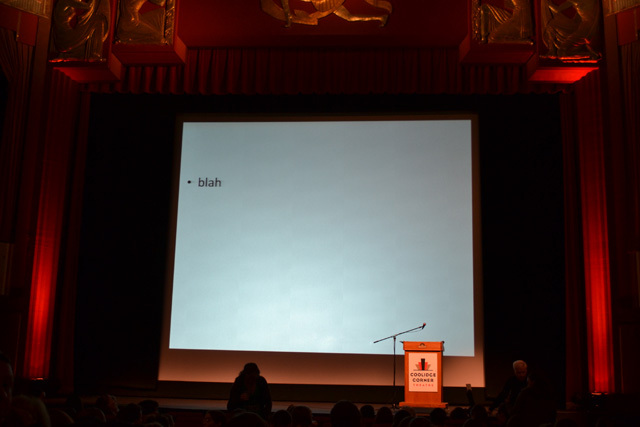 Ree had a power point going on behind her as she spoke. Of course there was some Marlboro Man added into the mix. 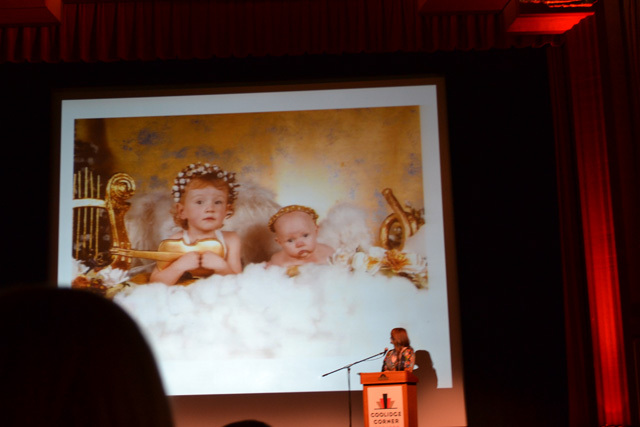 And photos of the kids. As angels. From mall kiosks. Ree explained that she started her blog in May of 2006 with some stories and basic photos from a point & shoot… and the rest is history. 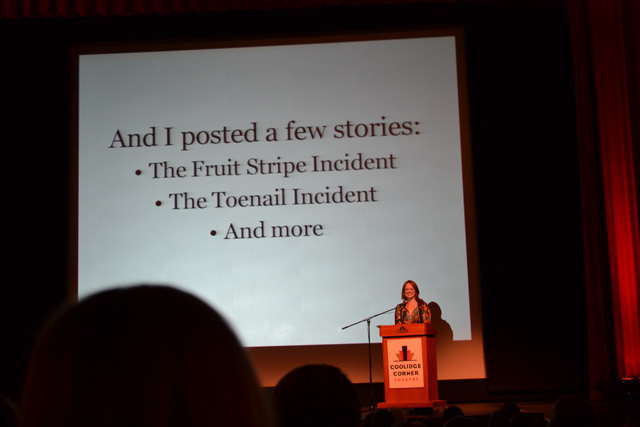 She explained how the blog grew from Confessions, to include Cooking, and more. 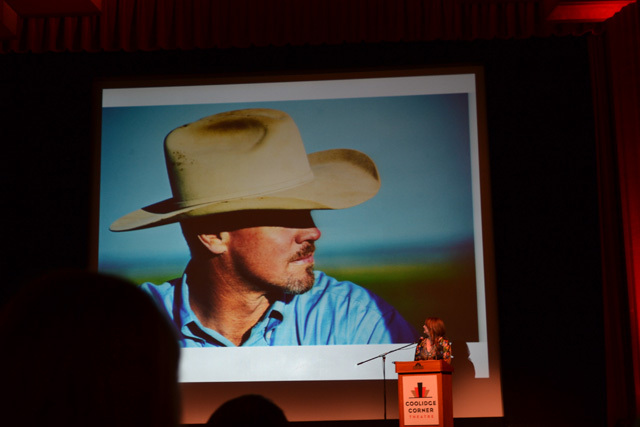 At first she would start a new blog for new segments, like Cooking, but then she rolled it all into 1 place under the “The Pioneer Woman Umbrella.” The blog prompted 4 books, TV appearances on national news shows, and then her own cooking show on the Food Network. To finish the night she sang to her One True Love… Charlie. It was a fantastic experience and I am so glad that I got to attend the packed event. After Ree spoke at The Coolidge she went across the street for the book signing portion of the night. The line was insane so Rebecca and I grabbed her hubs from Sbucks and we had really good Thai food at a tiny shop down the road.